UCA history professor Kenneth Barnes was awarded the 2017 Arkansas Historical Association award for the best book on Arkansas history. The mission of the Arkansas Historical Association is to promote the preservation, writing, publishing, teaching and understanding of Arkansas state history through the publication of the Arkansas Historical Quarterly as well as other activities. Delayna Griffin, a 2008 graduate of Morrilton High School, participated in Upward Bound at UCA throughout her high school years. She earned her BA in Political Science from UCA in May 2011 before enrolling at Texas Southern University in Fall of 2012. 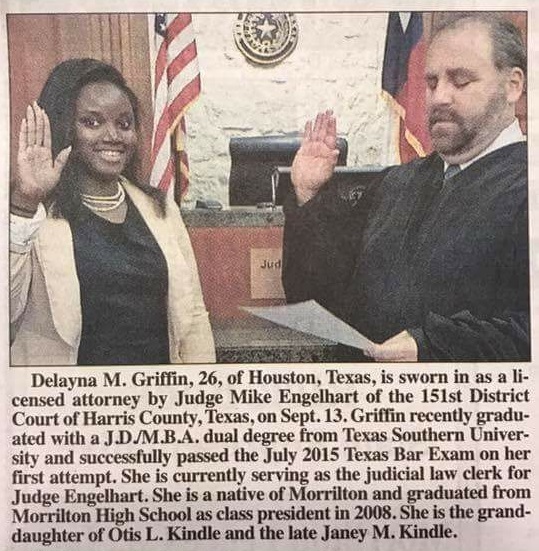 In August of this year, Griffin earned her MBA in Business Administration and Juris Doctor in Law. 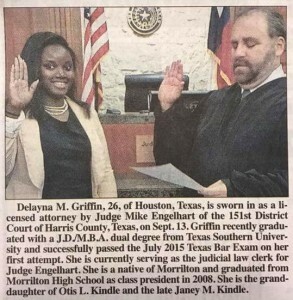 Having passed the Texas Bar Exam in July 2015, Griffin was sworn in as a licensed attorney on September 13 and is now working as the judicial law clerk for Judge Mike Engelhart of the 151st District Court of Harris County, Texas. Petit Jean Headlight in Morrilton, AR. Upward Bound at UCA has recently submitted its fourth grant proposal for possible renewal into the 2018-2023 grant cycle. The program would like to extend many thanks to everyone who provided letters of support to demonstrate the institutional commitment to the program’s success in serving low-income, first generation students in our surrounding communities of Bigelow, Mayflower, Morrilton, Nemo Vista, and Perryville. The commitments and contributions made by individuals and departments on this campus play a big part in ensuring the success of students like Delayna Griffin who pass through the program and are beneficiaries of the time and resources invested. 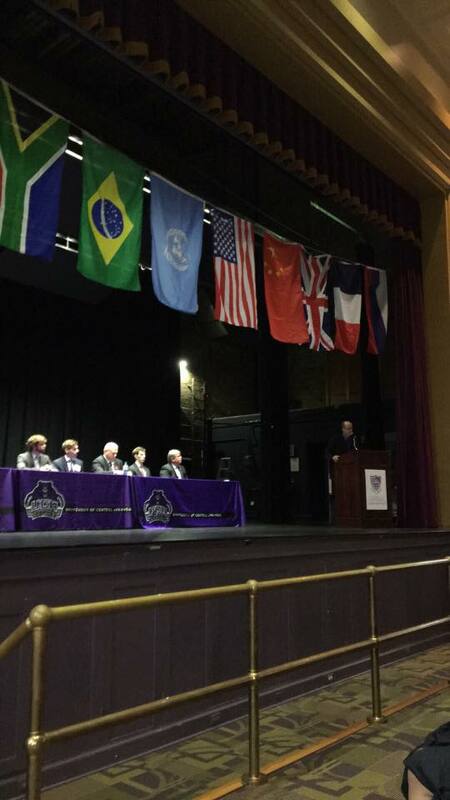 The opening session of the 51st Arkansas Model United Nations (AMUN) conference took place on Friday, Nov. 18th, in Ida Waldran Auditorium. 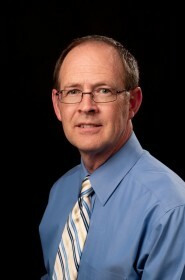 Robert B. Andrew, U.S. Department of State Diplomat-in-Residence at the University of Oklahoma, was the keynote speaker. All interested students, faculty, and staff were invited to attend. For the Opening Night concert of its 32nd season, the Conway Symphony Orchestra welcomed back fan-favorite UCA artist-in-residence Neil Rutman, matched with another fan-favorite, Rhapsody in Blue by George Gershwin. Combined with the William Tell Overture and Dvorak’s Symphony No. 8, the Oct. 29 performance featured the music that audiences know and love, as they’ve come to expect from the Conway Symphony. The 7:30 concert was held at Reynolds Performance Hall. Subscriptions are still available, with a four-concert package for $64-$116, with discounts for all students, children, and UCA faculty/staff. Contact the box office at (501) 450-3265, Mon-Fri, 10-4, or www.uca.edu/tickets. 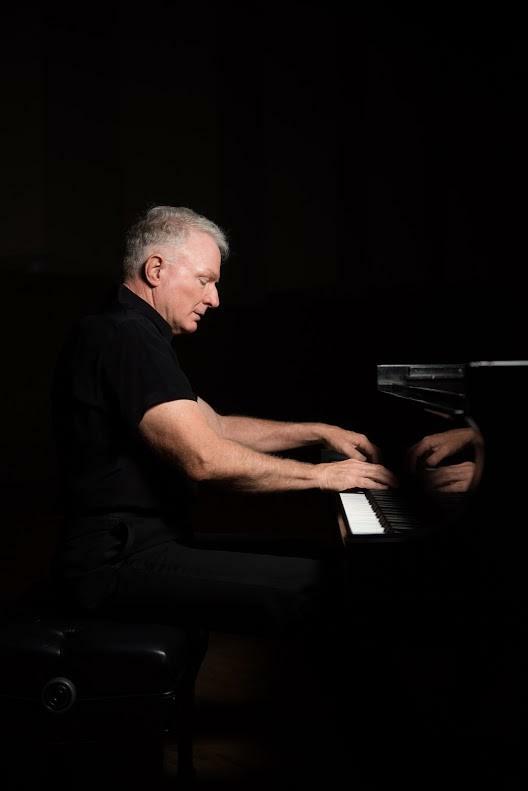 The award-winning Rutman has performed in over thirty countries in Europe, Asia, and the Middle East. He has appeared in Carnegie Hall, Alice Tully Hall, Queen Elizabeth Hall, Wigmore Hall, Tokyo’s Bunka Kaikan, and the Schola Cantorum in Paris, with recent concert tours in the last five years of the United Kingdom, Europe, New Zealand, Japan, and the Persian Gulf. Rhapsody in Blue combines classical music with jazz-influenced effects, premiering in New York in 1924 with Gershwin himself on piano. It has since become one of the most popular of all American concert works. The Conway Symphony Orchestra brings professional concerts, exciting guest artists and high-quality music to the Central Arkansas community. For more information on concerts and other programs, visit ConwaySymphony.org or call (501) 269-1066. The Division of Outreach and Community Engagement offers a variety of courses. 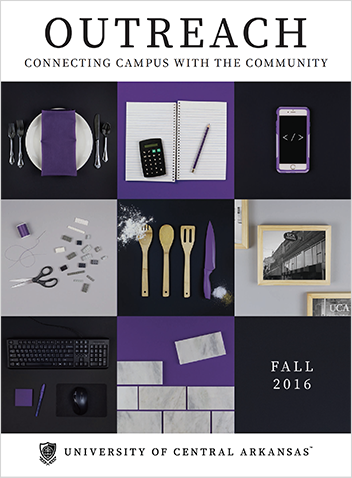 Everything from Hula Hoop Fitness to Genealogy to Wine Making and more is offered to UCA faculty, staff, students and retirees. Alumni Association members receive a 50% discount! Online courses are also offered. Test prep (ACT/SAT, GMAT, GRE, LSAT, Praxis, etc), real estate licensing and courses that provide continuing education units (CEUs) are just a few examples of the online catalog. UCA President Houston Davis Goes Viral In Dancing Video at UCA Family Day!